Departure from your Hotel or Boat in Labuanbajo by car to Roe village, about 21 km from Labuanbajo, from here start your 3 hours trekking through Mbeliling forest to Werang. On the way you can see The Flores endemic birds ie: Flores Hanging-parrot Loriculus flosculus and Flores Crow Corvus florensis, and many other birds explore Nature pure, rain forest and contact with local people, enjoy your time by relaxing at Cunca Rami Waterfall. Lunch will be provided by local people in Werang, Afternoon drive to Sano Nggoang (This area consists of slopes and flat ridges which are formed by volcanic activity. There is a crater lake in the active mountain of Wae Sano) Dinner and Overnight at Local family house. 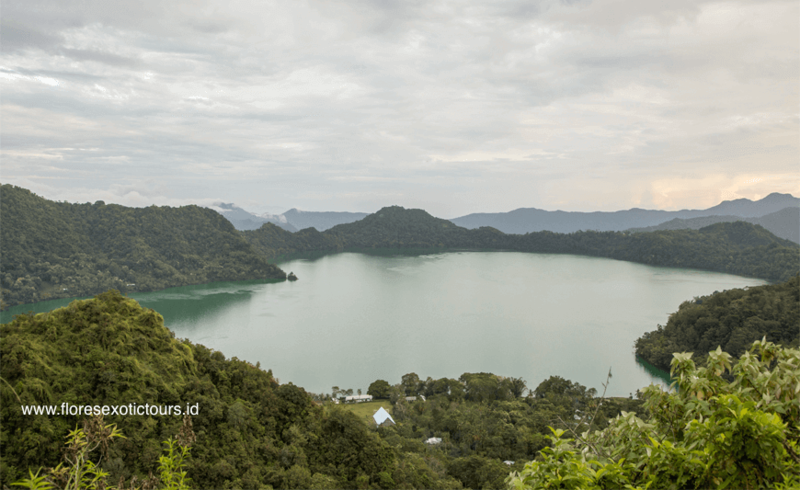 You start a new day by walking around the deepest crater lake Sano Nggoang, feel close with nature, and local people. Afternoon drive to Tado community-based ecotourism. 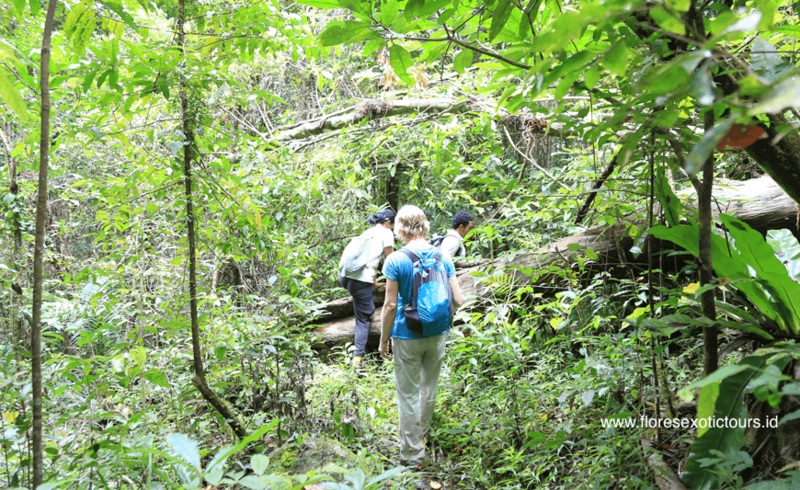 here you can participate in ecotourism activities by keeping in touch with the local people, joining their activities or can do request some program ie: Ancient Rituals, Jungle survivals, or Traditional artistry and crafts. After light breakfast, start your 4 hours tracking to Wae Rebo village. the Authentic Housing of Manggarai, located about 1000m above sea level, in the middle of the mountain. All are traditional houses, with really high roofs and they are on 5 levels – the top four are mainly used for storage and all the living areas are on the bottom. We will stay in a house built for visitors. Here you have a chance to keep in touch with the people and learn by seeing, asking, and feeling their culture, life, and activities. Sleeping mattresses will be provided. Dinner and overnight will be at the local villager’s house. Departure from your hotel, first visits Wogo traditional village, Nanga Panda beach to see the blue stones, lunch in Ende, After lunch drive to Moni, photo stop in Detusoko. Dinner and overnight at Kelimutu Moni eco Lodge or similar. Early morning at 04.00 drive up to the three colored lakes of Kelimutu, one of the most specular and mysterious sight Indonesian. Back to your hotel for breakfast, after breakfast visit Jopu traditional village, and then proceed to Paga and Maumere. Dinner and overnight at Sea world club Maumere. Morning free program at your hotel before transfer to Frans Seda airport for the flight back to Denpasar.